A deliciously bittersweet, and biting, black comedy, Thoroughbreds is the debut feature of writer-director Cory Finley, and is as confident and assured a debut as you could hope for. Originally conceived of as a play, Finley’s exploration of two teenagers and their emotional differences, and the path both find themselves intent upon pursuing, is a striking and beautifully composed ode to teenage disaffection (and purposeful affectation). Amanda and Lily’s relationship provides challenges to both young women in terms of their emotional growth, and Finley provides an object lesson in how to create and develop two separate characters whose own individual needs quietly and inevitably dovetail until both are able to express those elements each other have been lacking. Amanda learns how to empathise, and Lily learns how to rationalise. These things make both of them stronger, and part of the pleasure of Finley’s finely judged screenplay is the way in which Amanda learns how to bond while Lily learns how to be alone. Throughout the movie, the tense dynamic established between them never quite settles comfortably into a groove that allows the viewer to predict what will happen next, and Finley manipulates the material accordingly. It’s a movie that contains many examples of black comedy, and darkly satirical thriller elements that often subvert the modern day noir feel that Finley ascribes to the narrative. The glossy yet all too orderly environment of Lily’s home provides a trenchant backdrop for the largely muted passions on display, and Finley’s careful but invigorating direction ensures the movie is as visually arresting as it is emotionally powerful. As the murderous-minded Amanda and Lily, Cooke and Taylor-Joy both give excellent performances, while Yelchin (in one of his last roles), is marvellous as Tim, a man with dreams that aren’t matched by his ability or skill to see them through. It’s also worth noting Sparks’ performance as Mark, the ostensible bad guy who wears a frown on his face like a damaging accusation; it’s a tightly controlled portrayal, and all the more effective for not being the stereotype it so easily could have been. On the technical side, there’s much else to recommend the movie, from Lyle Vincent’s crisp, artfully composed cinematography, to Jeremy Woodward’s austere yet evocative production design, and Erik Friedlander’s memorably haunting score. 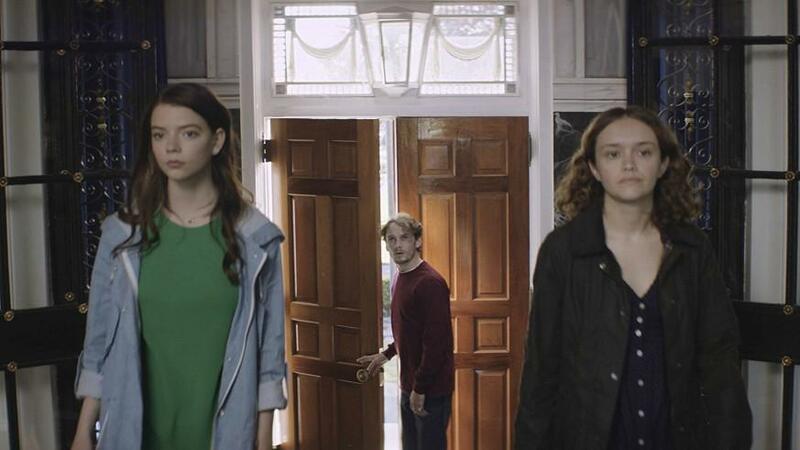 With a sharp, calculating nature bubbling just below the surface, Thoroughbreds is a welcome addition to the usually underwhelming teen angst movies we normally get, and is all the better for managing to avoid the genre’s many pitfalls. Rating: 8/10 – a movie that creates a precise and prescribed milieu on which to hang its tale of what happens when stifled emotions meet murderous ambition, Thoroughbreds is a genuine surprise, and a bona fide pleasure as well; with terrific performances wringing every possible nuance from his razor sharp screenplay, Finley’s debut highlights the arrival (hopefully) of someone with a great career ahead of them. After a party at their local mall, birthday girl Claire (Richardson) and her friend Marcia (Sula) offer withdrawn classmate and pity invite Casey (Taylor-Joy), a ride home. But in the car park, a stranger (McAvoy) gets in the car instead of Claire’s father, and he uses a spray to render the three girls unconscious. When they wake, they find themselves in a locked basement room, but otherwise unhurt. Their abductor, Dennis, tells them that they’ll be perfectly safe, as long as they don’t try to escape; they’ve been taken because “someone” is coming. Meanwhile, Dennis attends therapy sessions with Dr Karen Fletcher (Buckley), but when he does he’s called Barry, and he’s a different personality altogether. And this is the point: Dennis and Barry are just two of twenty-three personalities living in the body of the man known as Kevin Wendell Crumb. With one of the personalities sending urgent e-mails to Dr Fletcher on a regular basis, but Barry assuring her everything is okay, she suspects something has happened that has prompted this cry for help. As she attempts to work out just what that something might be, the girls make an attempt at escaping. Claire manages to get out of the room they’re in but she’s soon captured and locked in a separate room; the same fate eventually befalls Marcia. Casey tries to strike up a relationship with another of Kevin’s multiple personalities, a nine year old boy called Hedwig. He warns her that the “someone” who is coming is actually known as the Beast, and as Hedwig adds quite cheerfully, “He’s done awful things to people and he’ll do awful things things to you.” With Casey and Dr Fletcher arriving at the truth of things from different angles, it’s still down to the three girls to find a way out and back to safety before the Beast arrives. With each new M. Night Shyamalan movie, it seems everyone is in agreement: he’s making better movies now from when he used to make absolute tosh like The Happening (2008) and The Last Airbender (2010). But while that may be true (and to make movies worse than either of those mentioned would be a feat in itself), it’s also true that he’s still not anywhere near to making movies as accomplished as The Sixth Sense (1999), or fan favourite, Unbreakable (2000). 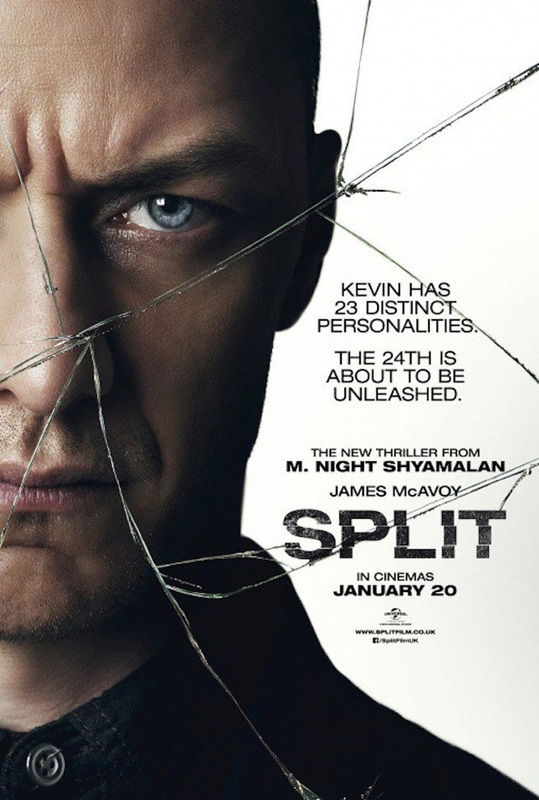 But while he’s still got a way to go, Split is certainly a good indication that he’s getting there. He’s helped in no small part by McAvoy’s incredibly detailed and nuanced performances as seven of Wendell’s multiple personalities, and Taylor-Joy’s practical captive with a relevant back story. But while his cast go to great lengths to make his story at least halfway credible, and Shyamalan himself directs with great skill, as a writer he still manages to stumble too often for comfort, and the script fails to answer several important questions, the main one being, why is Hedwig’s drawing of the Beast not even remotely like the version we see towards the end – and especially after Dr Fletcher asserts that “an individual with multiple personalities can change their body chemistry with their thoughts”? (Oh, really?) It’s about time that Shyamalan let somebody else write the script because it’s the one area in which he consistently lets himself, and his movies, down. In the end, it’s all nonsense, but it could have been much more enjoyable nonsense, and McAvoy’s dexterous performances could have been part of a better showcase for his talents. 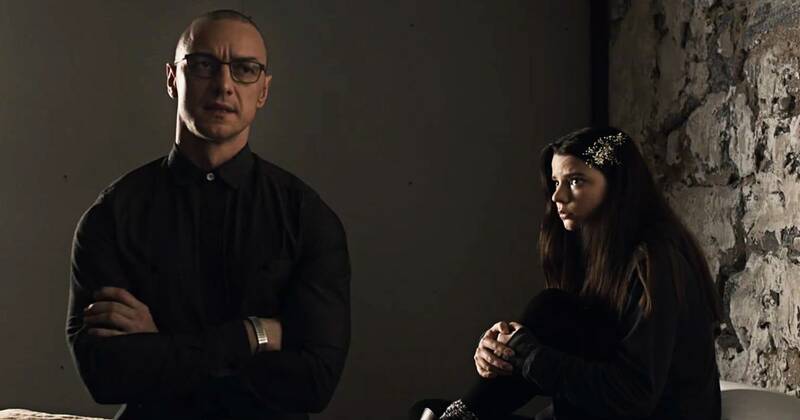 Rating: 6/10 – let down by a script that starts off strong then slowly but surely runs out of steam and ideas by the halfway mark, Split still qualifies as a stepping stone on the path of Shyamalan’s rehabilitation as a quality movie maker; McAvoy is terrific, the eerie nature of the basement rooms makes for a good mise en scène, and then there’s that final scene, which, depending on your love for a certain movie, will either have you whooping with joy, or wailing in despair. As the song has it, “If you go down to the woods today, you’re in for a big surprise…” Not once you see Kate Mara’s risk assessment consultant, Lee Weathers, driving to a facility hidden deep in the woods where a science experiment, codenamed L9, is going badly wrong. The experiment in question is the creation of a human/nano technology hybrid. The hybrid (Taylor-Joy) looks like a young woman, is called Morgan, is actually five years old, and has recently stabbed one of the team, Kathy (Leigh), repeatedly in the face and blinded them in their left eye. With a psych evaluation planned to take place that will determine whether or not the project continues, Lee’s role is to make the final decision, either to continue the work or to shut it down. For everyone’s safety, Morgan is confined to a room that has toughened glass from wall to wall, and floor to ceiling. She appears to understand the need for this, but the team are overly apologetic about the incident with Kathy. They all state that it was their fault and not Morgan’s; they should have known better, should have been paying better attention to her current mental state. Lee takes none of this for granted, but does accept that they treat Morgan more as a human being than as a thing. When the psychiatrist, Dr Alan Shapiro (Giamatti), arrives the next day to conduct his assessment, his approach goads Morgan to anger, and a violent outburst means that Lee has no option but to shut down the project. She’s stopped, though, by the team. Rendered unconscious, she awakes in Morgan’s safe room, while the team’s own efforts to control the situation – and Morgan – start to unravel at an alarming rate. By the time Lee finds a way out of the room, Morgan’s determination to be free from the confines of the facility has proven disastrous for the team, and she makes her escape, taking along Amy (Leslie), who is the one member of the team that Morgan considers is her friend. But Lee is equally determined to find Morgan and make sure that the project is shut down once and for all. Morgan is director Luke Scott’s first feature, a step up in terms of money and opportunity following his clever and impressive short movie, Loom (2012). 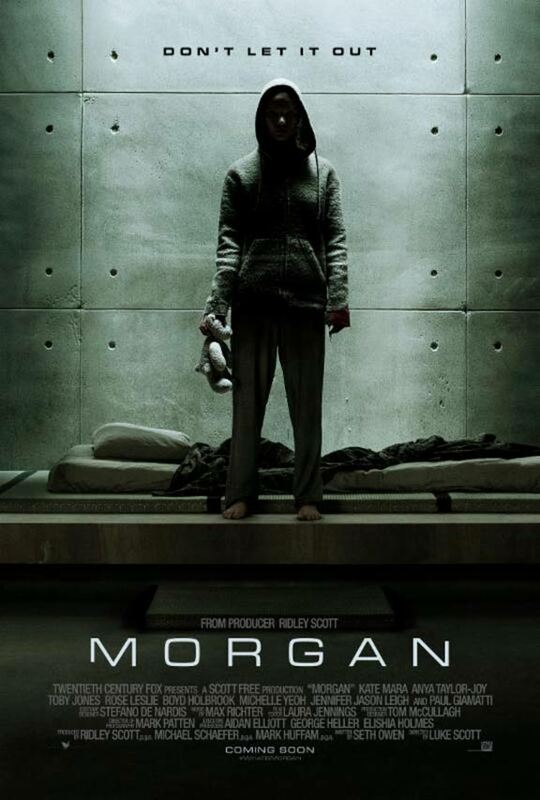 That movie augured well for the future, but with Morgan it seems that Ridley Scott’s son has been let down by a poorly realised script, and the faint whiff of post-production interference. There’s little about the movie that works as well as it should, and long-time fans of this type of speculative sci-fi will be dismayed by the many ways in which the narrative shies away from making any kind of moral statement. Another screenplay picked out from the Black List (this time 2014’s), Morgan begins with a shocking act of violence, and continues with not one character reacting or behaving normally in its wake. Everyone carries on as if it was a minor incident, one that’s hardly worth bothering about. Morgan behaving strangely is to be expected, but when the team behave even more strangely than she does, and right from the start, then it only serves to undermine the drama that follows. Only Michelle Yeoh’s mother figure acts as if she has any idea of the consequences to Morgan’s actions, but she’s allotted so little screen time that she becomes the occasional, and token, voice of reason, trotted out to offer a limited balance to everyone else’s strange behaviour. Things are further hampered by the character of Lee, played with stony-faced antipathy by Mara. It’s a role that’s difficult to talk about without revealing too much of why the character is at the facility in the first place, but while she’s an outsider given over to remaining so, Mara provides a better performance than expected, giving Lee an unexpected likeability even though she’s pretty much there to conduct a corporate hatchet job if necessary. 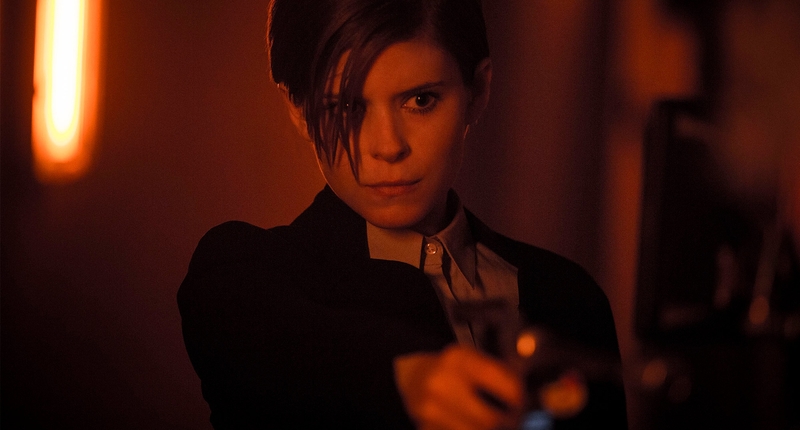 As the movie progresses, her minimal social skills are stripped away, and Mara again strikes a careful balance between “assassin for hire” and consultant doing her job. She’s matched by Taylor-Joy, whose bleached looks and unnerving stare never quite manage to morph into the features of someone you could trust implicitly. Though her motivation becomes more and more strained as the movie continues, her performance highlights the emotions that Morgan has managed to express, even though she can’t understand them properly. Alas, the rest of the cast aren’t given nearly enough to make their roles worthwhile, and as you might expect, some are just waiting around until Morgan decides that everyone is surplus to requirements. The final half hour ups the ante in terms of action, and Mara and Taylor-Joy enjoy some well-choreographed fight scenes, but even then there’s a distinct lack of tension or energy. Scott seems unable to inject the necessary spark to make things that much more exciting, and the movie suffers as a result. As it heads towards an inevitable conclusion, one that it’s set up right from the moment we first see Lee in her car, Morgan begins to look and sound and feel like another great idea for a movie given the least amount of commitment by all involved. That’s not entirely true, but there are large stretches where the viewer won’t be able to shake off that feeling at all. 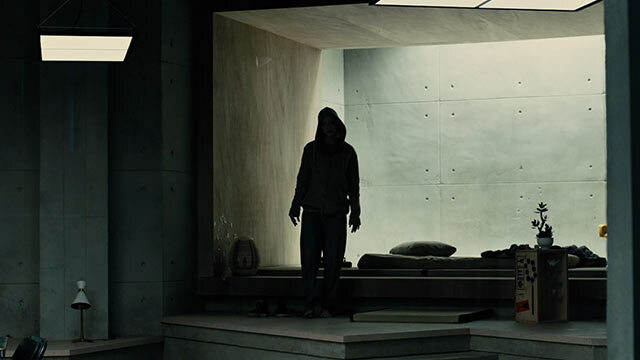 Watching Morgan, there’s an obvious correlation with Ex Machina (2015), but this is a different movie with a different agenda, and nowhere near as complex. The script by Seth W. Owen isn’t as fully rounded or well thought out as it needs to be, and Scott never really finds a way to avoid the pitfalls that Owen has left in situ. And watching the movie unfold, and the speed with which it changes direction from a somewhat intriguing sci-fi thriller to all-out action drama, it does smack a little of interference in the post-production stages, as if the producers had realised that the movie was in danger of losing its audience altogether if it didn’t change tack. On the plus side, the movie does have a decent score courtesy of Max Richter, and Tom McCullagh’s production design does help to anchor the movie in a more realistic fashion than the script does. Rating: 4/10 – what could have been an intriguing, thought-provoking movie is scuppered by poor narrative choices, a lack of credible characterisations, and a shift in tone two thirds in that alters the movie’s trajectory as if no one would notice; a good idea given a lacklustre presentation, Morgan will only satisfy those viewers who don’t expect much from sci-fi thrillers, or are comfortable looking at things only on a superficial level. New England, 1630. Expelled from their newly settled community for religious differences, Puritans William (Ineson) and Katherine (Dickie) take themselves and their family – eldest daughter Thomasin (Taylor-Joy), eldest son Caleb (Scrimshaw), twins Mercy (Grainger) and Jonas (Dawson), and their newborn son Samuel – off into the wilderness where they make their new home. They build a dwelling, establish crops for food, and have goats for milk. All seems to be going well until one day when, in Thomasin’s care, Samuel disappears. Katherine is devastated, and prays continuously. William and Caleb go into the surrounding forest to hunt for game, but have a strange encounter involving a rabbit that has an effect on Caleb. When they return, they find Katherine angry at their having gone, and Thomasin unable to control the unruly twins. Later, Mercy’s antagonistic nature annoys Thomasin so much that she threatens her younger sister by saying she – Thomasin – is a witch and will do terrible things to Mercy if she doesn’t do what she’s told; Mercy believes her completely. Soon after, Caleb and Thomasin are in the forest when they become separated. Caleb meets a young woman (Stephens), while Thomasin searches in vain for him. She is found by William, but it isn’t until later that night that Caleb returns, naked and feverish. Katherine blames Thomasin for this, and Mercy reveals what Thomasin said to her about being a witch. Both Katherine and William believe Mercy at first, and confront Thomasin over it, but she manages to convince her father that she isn’t a witch, and that it is Mercy and Jonas who are in thrall to the Devil, and that they speak to him through one of their goats, Black Phillip. Matters become worse when Katherine becomes afflicted by madness, and Thomasin and the twins are locked in the goat pen while William struggles to make sense of what’s happening. But the supernatural events that surround them begin to increase, and circumstances lead to Thomasin being the only person who can find of keeping herself at least from further harm. The Witch is one of those movies that comes along every once in a while, gains some media attention and gets some critical mass behind it, so that by the time it reaches a wider audience it’s seen as something to be admired and sought out at the earliest opportunity. And so it is proving here, with Robert Eggers’ debut feature having picked up a lot of traction from film festivals around the globe throughout 2015 (including Romania’s Dracula Film Festival). Usually, the hype that attaches itself to such a movie proves to be undeserved – or is at least just that: hype – but for once, here is a movie that lives up to its promise. Based on folk tales, fairy tales and legends from the New England area, all of which Eggers grew up with, The Witch is a fabulous collision between faith and evil, loneliness and paranoia, that is being marketed as a horror movie, but which is a whole lot more. 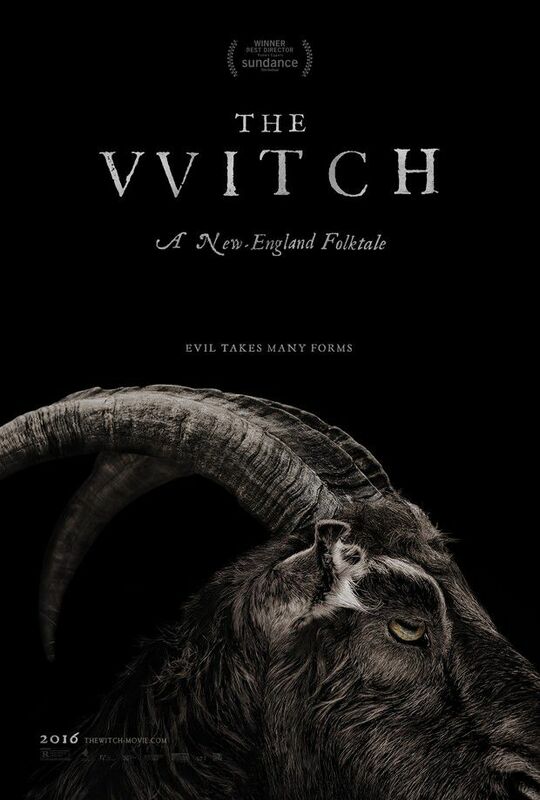 While there are very definite supernatural elements, and we see the witch of the title very early on, this isn’t just a horror movie, this is a powerful drama that sees one family fall apart under conditions of deprivation – the crops fail, the goats give blood instead of milk – loss, paranoia, mistrust, lies, pride, and arrogance. The true horror is seeing this otherwise contented family undone by the loss of a child and the subsequent emotions that develop, and which each member is unable to deal with. By placing them in the middle of a forest, with no close neighbours to help, and leaving them to deal with the isolation that all that brings, Eggers exposes the fragility of faith and the inherent strains brought about by personal sacrifice. The supernatural elements are well handled, and for once there’s no attempt at allegory or making it seem as if it’s all coincidence, or that there’s a more rational explanation for everything. Here, there is a witch, and we see her clearly, and there’s no room for doubt that she is responsible for setting in motion the events that lead to the family’s downfall. Without any possible ambiguity to muddy things, the straightforward horror of the situation is allowed to take hold, and as mutual suspicion leads to paranoia and then to madness and death, the movie is pitiless in its observational nature, leaving the viewer to watch a series of scenes in the movie’s last twenty minutes that signpost an outcome that is inevitable, even if the way in which it all happens isn’t. Eggers’ confidence in the material, which is often very dark and uncomfortable – the scene where Caleb revels in a kind of sexual ecstacy is a good case in point – is aided by a trio of superb performances from Taylor-Joy, Ineson, and Dickie. The casting of Ineson and Dickie is particularly important: their accents and English speech would have been the norm at that time, and they both have a clear grasp of the religious and moral underpinning that their characters rely so heavily on. But as all that certainty begins to crumble, both actors retain an honesty in their performances that make their eventual fates all the more affecting. Taylor-Joy is similarly impressive in a role that, if the movie had been set somehow in modern times, would have reduced her to little more than the screaming virgin who gets chased through the woods. But Thomasin proves to be more than that, and there’s a scene where she confronts William over his behaviour that is compelling for the way in which the hypocrisy of William’s religious stance is exposed as a cruel sham (and which gives both actors the chance to highlight the true cause of the family’s problems). The soundtrack is a big part of the movie’s effectiveness, with dissonant noises and choral sounds reaching their own kind of fever pitch, and serving to illustrate the weird nature of the events taking place, as well as being eerie in their own right. The score by Mark Korven is also highly evocative, and has an unsettling nature to it that is occasionally unnerving when allied to the visuals. Those visuals are expertly composed by Jarin Blaschke, and the dour, oppressive feel of the Canadian location where the movie was made, is evident in almost every exterior shot. And Louise Ford’s careful, measured editing style adds further lustre to a movie that, otherwise, could have lapsed into wilful obscurity in terms of the narrative and its intensions. Rating: 8/10 – an unnerving examination of one family’s disintegration due to a lack of true faith in themselves, The Witch is a horror movie that works on several levels and has an embarrassment of riches, not least in its casting; Eggers’ confidence in the material and the way it holds together is compelling, and the whole thing is drenched in the kind of suffocating atmosphere that lingers long after the movie has ended.